Born in 1951 in Yorkshire, Richard Emsley’s formal musical education was at Cardiff University under Arnold Whittall. While at university he was a frequent participant in Peter Maxwell Davies’ composition classes at Dartington Summer School of Music and was a co-founder of the Cardiff Composers’ Ensemble. In 1979 Emsley co-founded with composer James Clarke the ensemble Suoraan, one of the first British groups to promote the music of Xenakis, Finnissy, Ferneyhough, Dillon and Dench. He composed six works for the ensemble including the extended music theatre piece The Juniper Tree. Following his time with Suoraan Emsley fulfilled commissions for, among others, The Fires of London, the harpsichordist Jane Chapman and the now-defunct Inner London Education Authority, for whom he produced a further extended music theatre work, this time for children. 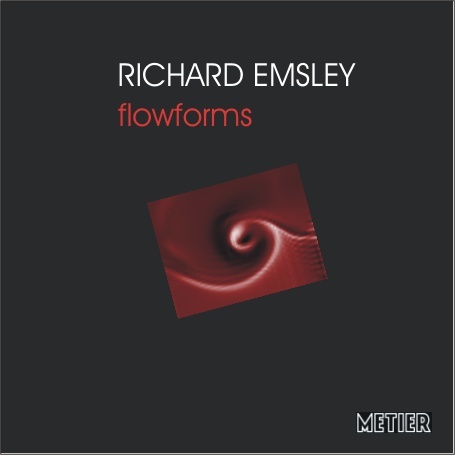 In 1988 the publication of an article on Emsley’s work in Tempo by the composer Richard Barrett led to an invitation to participate in the Composers’ Forum at Darmstadt Ferienkurse für Neue Musik. A period of creative silence and experimentation ensued, broken in 1996 by the appearance of finnissys fifty and the first pieces in the for piano series. The gaunt piano writing of these works has proved a fruitful seam, and performances have been given by numerous pianists including Mary Dullea, Nicolas Hodges, Isabel Ettenhauer, Robert Keeley, Kate Ryder and Scott Tinney; pieces from the series have also been selected for performance at ISCM World Music Days on two occasions, at Bucharest and Yokohama. Four pianists in particular, however, have been associated with these works: Ian Pace, who performed for piano 2 in Bratislava, Cologne, Heilbronn and Dublin during 1999; Kentaro Noda, who performed the first twelve pieces of the series in 2003 at the inaugural concert of a new music venue in Kobe, Japan; Philip Thomas, who commissioned the 42-minute for piano 13 for an Emsley portrait concert which he curated in Sheffield in 2003; and Jonathan Powell, who commissioned the last two in the series, for piano nos. 14 and 15. In 2002 Emsley began Still/s, a cycle of 24 solos, duos and trios written for all the combinations of a five-instrument reservoir. Exploring even more drastically pared-down material than the piano works, this series sprang from a collaboration with the visual artist Joan Key and the cellist Anton Lukoszevieze, commissioned by the iconic De La Warr Pavilion in Bexhill. Further pieces from the cycle have been commissioned by the Libra Ensemble, the violinist Darragh Morgan and the London concert series Music We'd Like To Hear, under whose auspices the ensemble Apartment House performed Still/s 1-6 as a concert-length event curated by Tim Parkinson in 2008. Current projects include new pieces for the Australian ELISION ensemble, pianist Jonathan Powell, and a first orchestral piece commissioned by the BBC for the BBC Scottish Symphony Orchestra under Ilan Volkov, for performance at Tectonics Glasgow in 2016.